Circa 1959: From the Becky Turner Collection— The Harlequin fruit bowl looks just like a miniature version of the nappy bowl, with it's wide open top that is flared out and and then turned under with a gentle rolling lip. 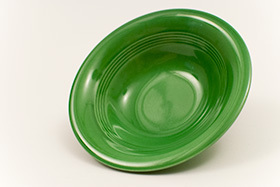 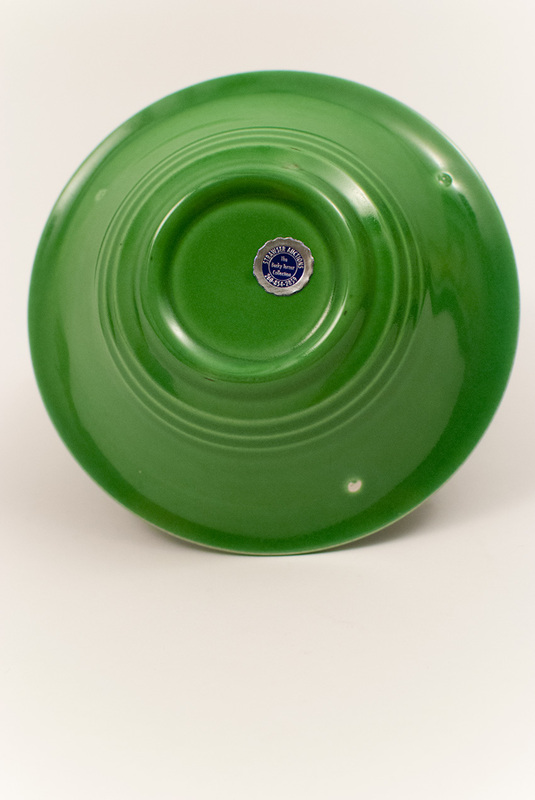 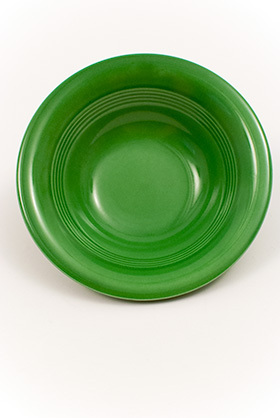 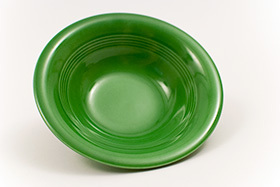 Although easily found in the original colors, the Harlequin fruit bowl was discontinued in 1959 at the same time medium green glaze was introduced, making it pretty scarce in this color. 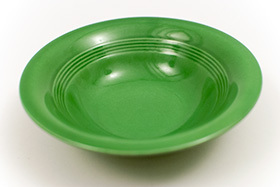 This example is unused and in perfect condition. 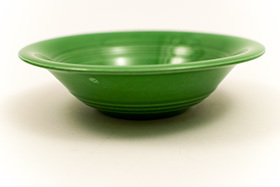 Measures 5 9/19" x 1 1/2"